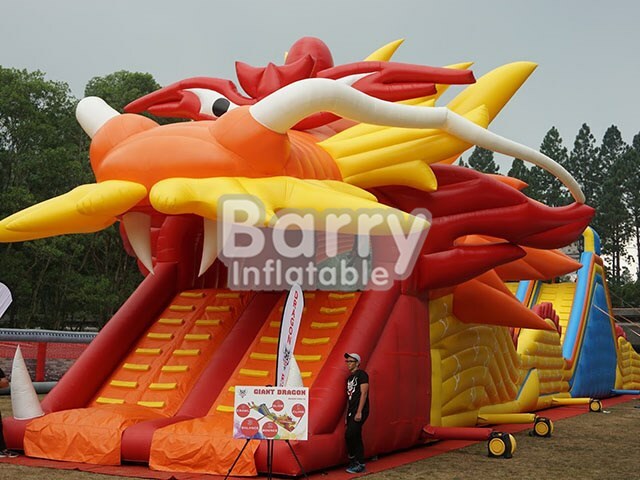 Products - Inflatable Dry Slide - Big Inflatable Dragon Slide /Large Inflatable Slide Factory Price BY-DS-011 - Guangzhou Barry Industrial Co., Ltd.
Barry have designed and manufactured many different types of inflatable slides ranging from crowd pulling EVENT SLIDES that can be seen for miles to back garden hire PARTY SLIDES and also inflatable AQUA SLIDES that can be designed to slide straight into a sealed pool or a swimming pool. You can have one lane, two lanes or simply up and over – ANYTHING IS POSSIBLE. We can create a slide in the shape of an animal slide,pricess slide,cartoon slide,jungle slide ,ect.